1. F1.8 large aperture,virtual background, which makes photography with more fun. 2. Support auto focus and manual focus mode. 3. Adopt gold plating for the metal contacts, effectively improve the signal conductivity and corrosion resistance. 4. 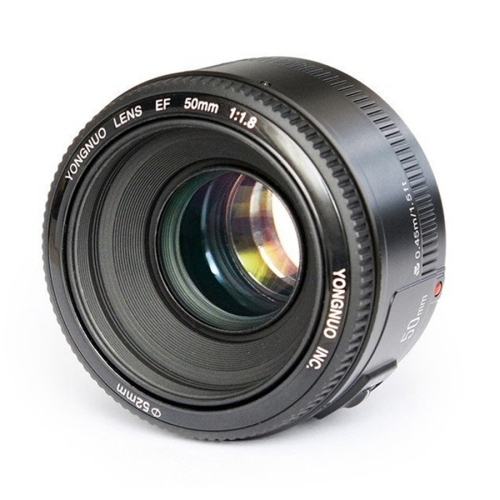 Support M/AV/TV/P and other camera shooting modes, and can be displayed the aperture data in the EXIF information. 5. Support full-frame and APS-C format cameras. 6. Adopt high quality plastic as external structure, light weight, which is convenient for outdoor shooting. 7. Multi-coated lenses, effectively improve the transmittance.